Here at Raffaele, we offer an authentic experience of the Italian cuisine to the local town of Sandbach. Following traditional recipes, we produce fresh pasta, pastry and cakes daily along with blending fresh barista coffee and Italian Organic Wines for you to enjoy. We enjoy travelling to many different regions of Italy, personally meeting the producers and wineries in order to discover the different cultures in food and drinks with the aim of bringing this back to our restaurant and to our customers. Trained in bar and restaurant management with Piccolino, Alessio has a thorough background and experience delivering a fine dining experience. After several years experience in the restaurant industry with Piccolino, it was Salvo's dream to open an Italian family style bistro. Don't just take our word for it, you can read some of our excellent reviews below. "The service sells this place. The food is fantastic and you won't be disappointed. The staff look after you from the moment you walk in. It is an easy going yet fine dining experience that is hard to come by. It is like being in Italy." "Had a meal here last night. It was absolutely amazing. 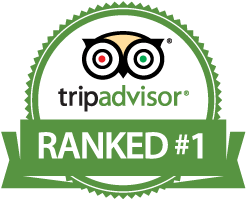 The atmosphere is very relaxed and friendly, the food was delicious and staff were happy and attentive without being pushy. Can't wait to go again!" "Have recently discovered this little gem although had heard nothing but good comments from other people. Have visited a couple of times once for cocktails and yesterday for coffee and cake. Faultless on both occasions. Service is efficient and charming and you are never rushed. Super value for money too. I could spend hours sitting outside in the sun, watching the world go by! It's my favourite 'holiday' cafe in my home town!!" "Absolutely gorgeous food. My favourite place to eat in Sandbach. Never disappoints. Whatever you choose on the menu, it's scrumptious. Always warm and friendly service." What ever the time or occasion, you can be sure to be dining with the freshest and highest quality produce.